Century Cycles Blog: Raleigh Talus 5.0 in Stock! 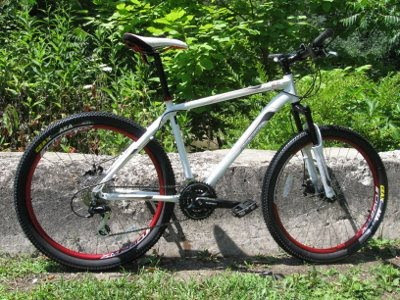 Last month, I posted a preview of the 2010 Raleigh Talus 5.0 mountain bike. Click here to go back and re-read why we were so excited about it. I don't take it too personally when the general public does not get as excited about new bikes as I do, because I realize that I am a, um, dork. But it appears that in this case, the reality has lived up to the hype, as we have already sold three of these bikes just in the last couple of weeks since we first received them! We've got them in stock in all three of our Century Cycles stores now, so come check it out and take it for a test ride. This is usually the point in your blog post reading where I would include a link to our shameless e-commerce division, where you could check out the bikes specs and zoom in on a larger picture. Alas, typing away here on my trusty old TRS-80, even I am ahead of the curve, because our web site service provider does not yet have the product information available yet for the new 2010 Raleigh bikes. I expect this to be remedied soon. Last week was Interbike, the bicycle industry trade show that takes place every year in Las Vegas. This being only Tuesday, the second work day following the show, the bike industry is probably just now rolling over, wiping the crust from their collective eyelids, and reaching for the bag of ice for their foreheads before getting back to business as usual. "This bike is gorgeous [Raleigh Record-Ace]. All the classic lines and the modern conveniences." "Did I mention how bad I want the 2010 [Raleigh] Clubman?" "This [Raleigh AlleyWay] could be the perfect mixed-weather commuter bike." 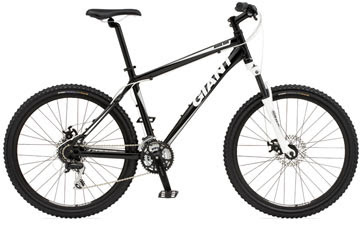 Meanwhile, we DO have all of new the 2010 bikes from Giant available for your perusal on our web site, and a number of them in stock, including the Rapid 2, Rapid 3, Dash 2, Dash 3, Avail 3, Defy 1, Defy 2 Compact, Defy 3, and Rincon. The Rincon, in particular has caught our eyes, and will give the Raleigh Talus 5.0 a run for the money in a value-priced mountain bike ($499.99) with the looks of a bike twice the price: Stayed tuned for more news from the trade show, and more previews of 2010 bicycles from Masi, Electra, Bianchi, and more!